Ever wondered about the transition of your dream home from lines on a blueprint to the actual brick and mortar structure you live in? It is a slow and painstaking process but the time and the wait are totally worth it when you finally see the results before your eyes! Here we take you on a step by step journey through the transformation of a dream from paper to concrete. Credit for the house here goes to the architects at Hernan Martinez Arquitectos. The first step in the journey is to lay the foundation. For this, the ground is first dug up and cemented as this will be the support on which the entire weight of the house rests. 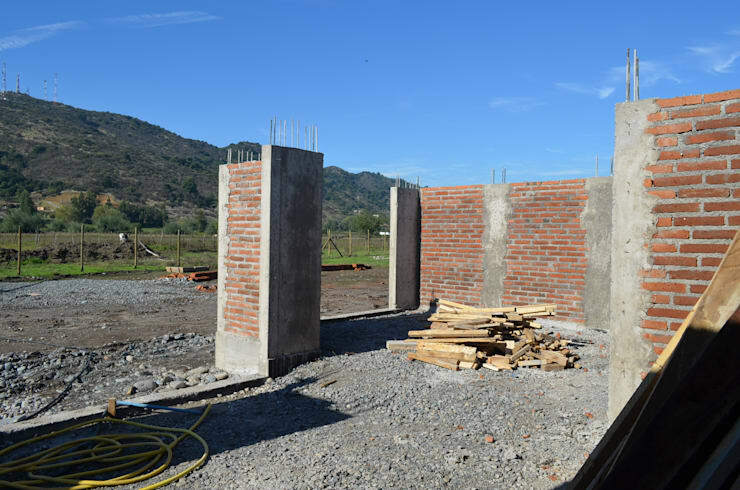 After the foundation, brick walls are erected. 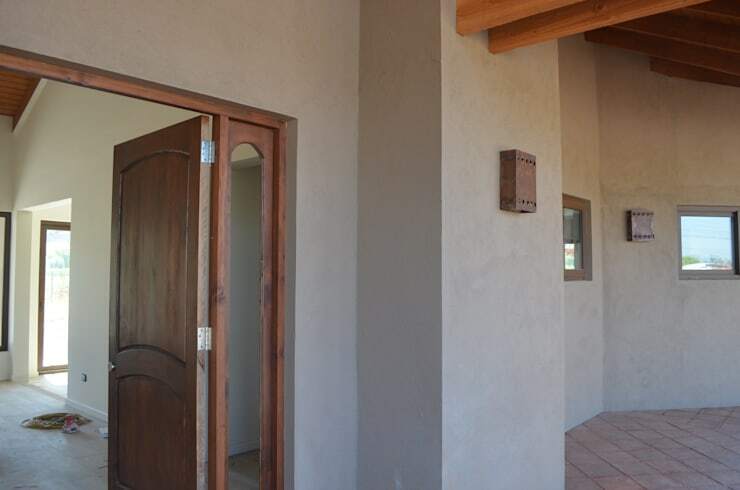 The edges of these walls, as you can see in the picture below, are concreted so that they remain straight and strong. 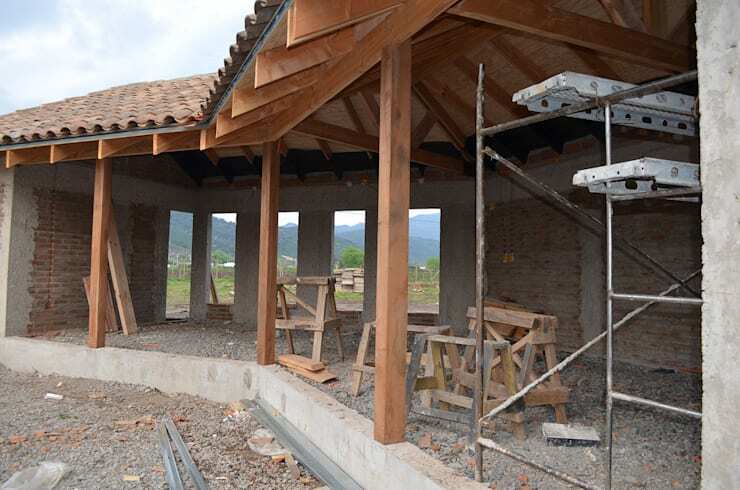 At this stage, we can see that the structure is already erected and the roof is also installed. The openings for doors and windows are profiled here. The wooden frame for the vaulted roof is also seen. 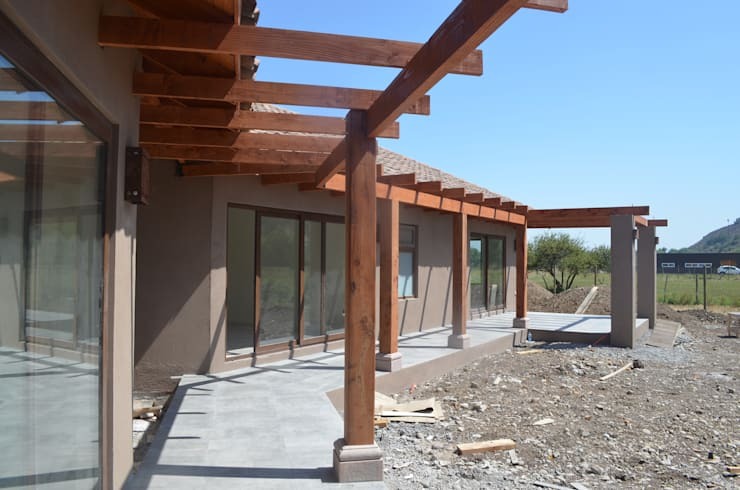 In a house like this where there is a lot of wood used in construction, it is necessary to ensure that the wood remains strong and resistant to attacks from insects as well as moisture. The wood is treated with specific chemicals that give the desired results. 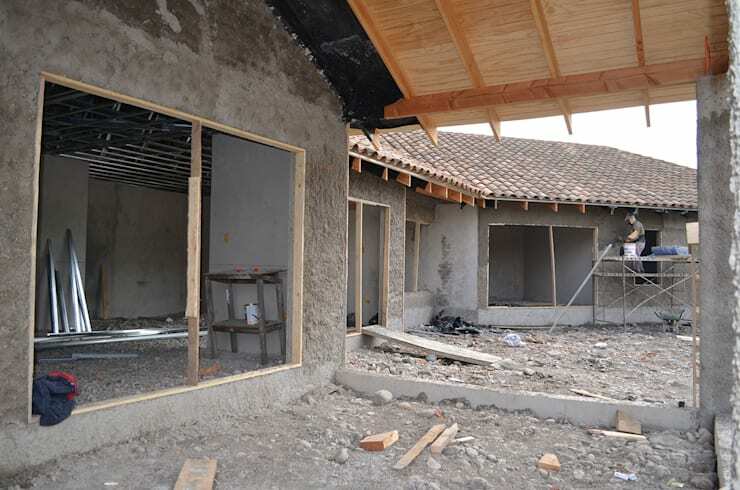 In this picture we can see that the outer walls are finished and done up in a mixture of plaster finish, mortar and special paint used for facades that are resistant to weathering. A pergola is formed around the house by the wooden structure that forms the roof of the extension. Here we can see the completed roof of the pergola. The flooring has also been installed and what now remains are the final flourishes. 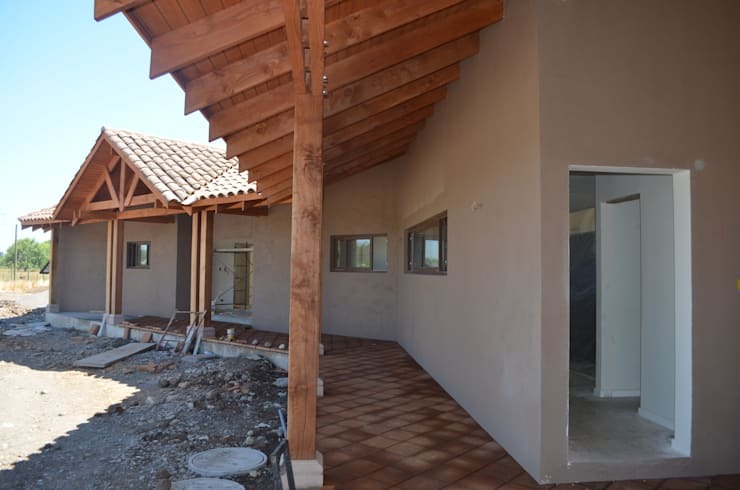 The combination of wood and earthen tiles give a rustic look to the house and it is easy to imagine how the finished structure will look, at this stage. Installing the doors into the wooden openings left in the structure is one of the final steps in completion of the house. This is done in three stages. First the measurements are taken and the door is ordered at a joinery. 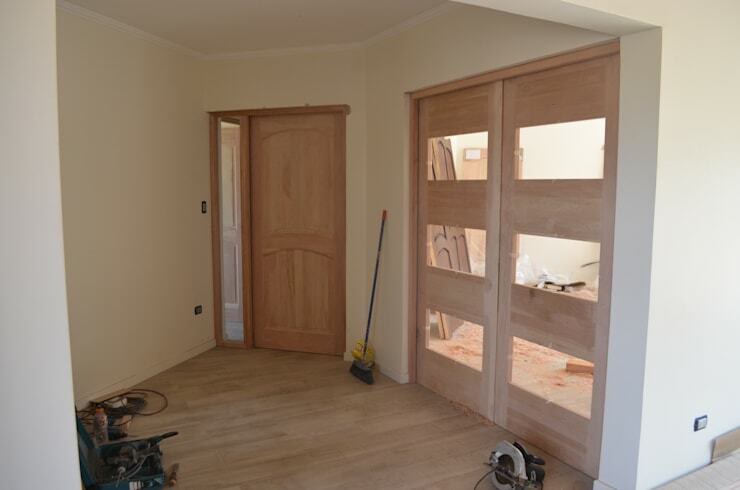 Then the door is brought to the site and the final adjustments are made if any are required and then they are installed. 7. And finally, time to step in! The finished structure of a house is a picture of perfection! Every detail is perfected to the satisfaction of the owners, from the polish on the wood to the flatness of the floors and the finish of the walls. Now all that is required is for a family to transform the house into a home.